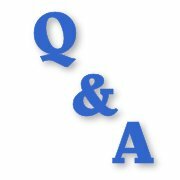 Is there any table tennis rule which covers when a player calls out or shouts out during a rally? If it is loud enough to possibly have put his opponent off, should the point be awarded against him? I assume this comes under sportsmanship, even though the action was unintentional. I was umpiring a match recently when this happened and I awarded the point against my team-mate who has shouted quite loudly when he thought he had missed the table on a return, only to see it just clear the net. His opponent, whilst not claiming the point, seemed to be slightly put off by the shout. Before I answer your question, we need to be clear about the rules of table tennis. 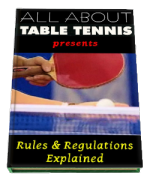 The basic rules of table tennis, or to give them their correct title - The Laws of Table Tennis - are the same for both amateurs and professionals and they always apply, but for higher levels of play there are additional Regulations which supplement these basic rules. These additional Regulations are primarily for International competitions but they're also used by National Associations for some events in their own country. So how many of these additional Regulations are actually used will depend upon the standard of the competition being played, and whether the organisers have adopted all or any of them. Additionally, Match Officials are issued with guidance on how to apply the Laws and Regulations of table tennis. So to answer your question we first need to look at the basic rules of table tennis. Rule 2.09 states - The rally shall be a let if the conditions of play are disturbed in a way which could affect the outcome of the rally. So if a player accidentally calls out or shouts during a rally, the umpire should call a let immediately and replay the point. However, if an immediate let is not called by the umpire, and if the point had continued to its conclusion, it would be fairer to give the opponent the choice of whether to replay the point or not. If the opponent still won the point despite the other player calling out, he would probably not want to replay the point, but if he was disturbed and lost the point, he may want to replay the point. In a local league or similar (non International standard) type match, the opponent would usually be given the choice of whether he wanted to replay the point or not. If a player deliberately calls out or shouts during a rally, Rule 2.09 would still apply and the umpire should call a let immediately and replay the point. 2) If at any time a player commits a serious offence the umpire shall suspend play and report immediately to the referee. For less serious offences the umpire may, on the first occasion, hold up a yellow card and warn the offender that any further offence is liable to incur penalties. So if a player deliberately calls out or shouts during a rally in a higher-level event, the umpire may choose to issue a yellow card warning. However, it is more a matter of judgment and common sense than a factual decision. When misbehaviour occurs, the umpire has to decide whether the offence is so serious that he must suspend play and report it immediately to the referee or whether he should issue a warning. On the first occasion, and in most circumstances, the initial action should be to give the offender a warning. Once a formal warning has been given, subsequent offences must automatically be penalised by the award of points.